Most books on interiors encourage readers to buy in on a certain trend. Flea Market Style is no exception with its double-page spreads of what could only be described as Frankie chic. 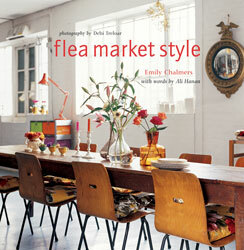 For most of the book, stylist Emily Chalmers, interiors writer Ali Hanan and photographer Debi Treloar focus on how to recreate ‘flea market style’; after all ‘there are guidelines and quiet rules that any decorator wanting to attain that shabby-chic look must follow to avoid falling into the dreaded “anything goes” trap’ (Andrew Ritchie from Martha Moments). 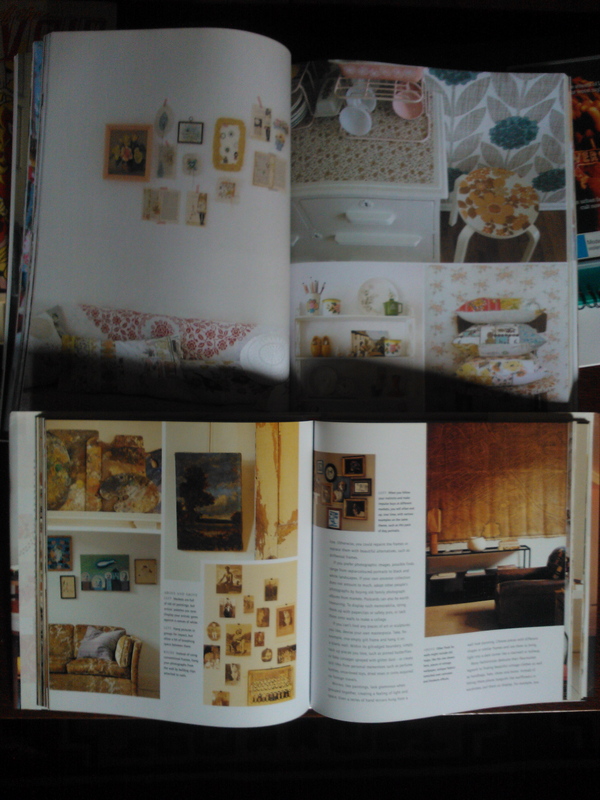 There’s sections like ‘Furniture’, ‘Pattern and colour’, ‘Lighting’, and ‘Collections and display’. Pictures and words are also grouped according to space: living, dining, sleeping, etc., making the book more user-friendly for those needing help with a particular room. Like an actual flea market, however, you need to dig around for Flea Market Style’s real treasure–advice that will help you furnish and decorate a house without needing to take out a second mortgage. ‘A daybed is easy to make (simply shorten the legs of a small single bed)…’ writes Ali Hanan in ‘Furniture’. In ‘Relaxing spaces’, a large wooden wardrobe is used to store drinks ‘in the absence of a sideboard’. And for ‘Work spaces’, there’s the suggestion of storing pens in old tins and jam jars–‘whatever you can find’. More importantly, Chalmers, Hanan, and Treloar prove that making do with what you’ve got doesn’t mean being stuck with ugly. Matching minimalistic paragraphs with colourful illustrations, they teach us how to value the mismatched and imperfect, as well as what to do with them. Orphaned chairs are painted in similar pastel hues to lend a sense of kinship. Squabs made out of different vintage fabrics are grouped together based on a floral theme. The innards of wardrobes and remnants of linoleum are turned into objets d’art. Unfortunately, Chalmers, Hanan, and Treloar’s thrifty aesthetics means that a good interior is flogged to death like a good cliché; it is evident that the photos of the same spaces are recycled in different parts of the book, and this lessens the appeal of what is mostly a carefully put-together piece of work. Thankfully, different angles, focuses, and zooms rejuvenate such interiors enough to prevent a feeling of sameness during a casual flip through. This post is part of a Buy Nothing New series for Buy Nothing New Month 2012. Yep.